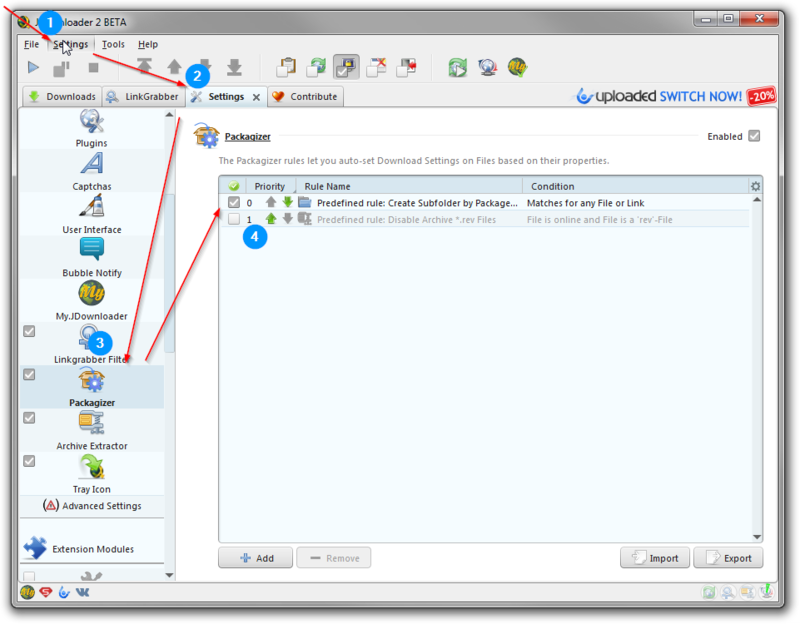 You have 2 different ways to add a subfolder with the name of your package to the download paths. Make sure that there is not more than one of these options enabled, or you will end up getting several subfolders. Note: Changes in Packagizer will only affect new added links! Nothing will change for existing links in list! The Packagizer can do 1000000 things. You can create rules to set up default actions when you add links. One of the default rules, is a rule to add the packagename as a subfolder to the downloadpaths. This is enabled by default. If you do not want to have subfolders, open your settings panel ->Packagizer and disable the rule. Whenever you can change the download path of a package, you can add dynamic variabls to that paths. These variables will be replaced to create the final path.